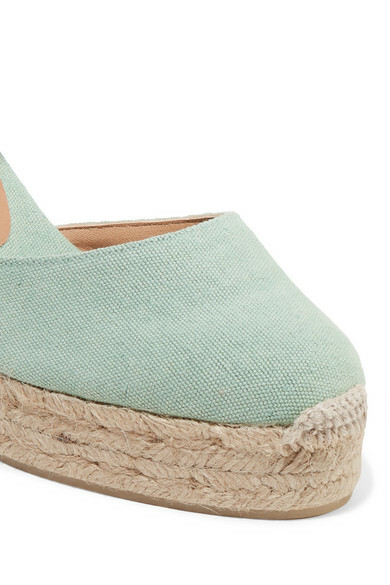 Castañer's 'Carina' espadrilles debuted in 2004 and 15 years later, they remain one of the brand's most-loved styles. 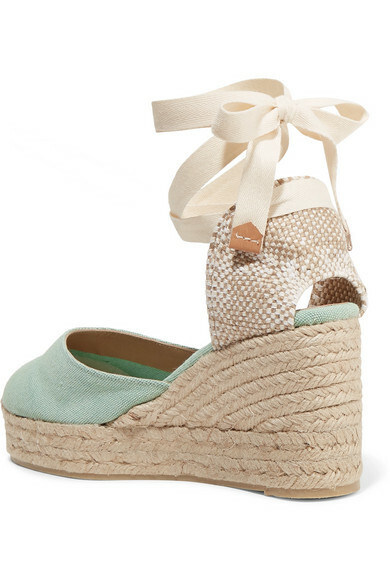 Crafted in Spain from lightweight canvas, this mint pair is set on a handmade 80mm jute wedge heel and has soft ties that wrap around your ankle. Keep them in focus with cropped hemlines. 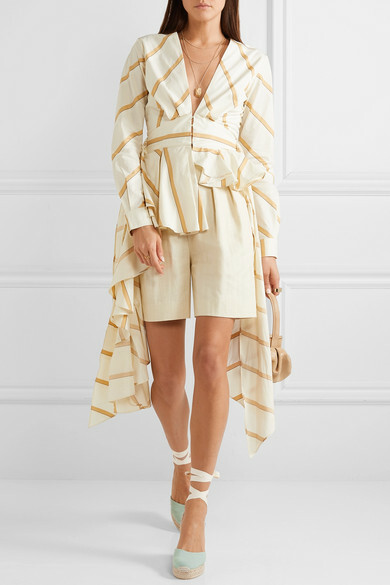 Shown here with: Johanna Ortiz Blouse, Theory Shorts, REJINA PYO Tote, Jennifer Fisher Ring, Aurélie Bidermann Ring, 1064 Studio Necklace.